There are 5 songs in Tubelight movie with different titles. Among the 5 track, there are only 4 unique songs while the other one has a different version for film and music. “Tinka Tinka Dil Mera” song has two different versions released restraining leak plot leak before the release. In all the songs, Salman Khan spotted sharing the stage with his brother Sohail Khan. While other songs were not able to make to the top charts of Bollywood box office, “Radio” was able to rock the top charts. Radio: Radio is energetic and happy going song which resembles celebrations in the city. The song resembles old days in Kashmir where Radio was the only medium of getting good and bad news. The song is filmed on arrival of good news from the disputed borders. Alike in his previous debuts, Salman Khan could be seen dancing in full passion with the co-stars. It could be called ‘The Party Song’ in Tubelight Film. 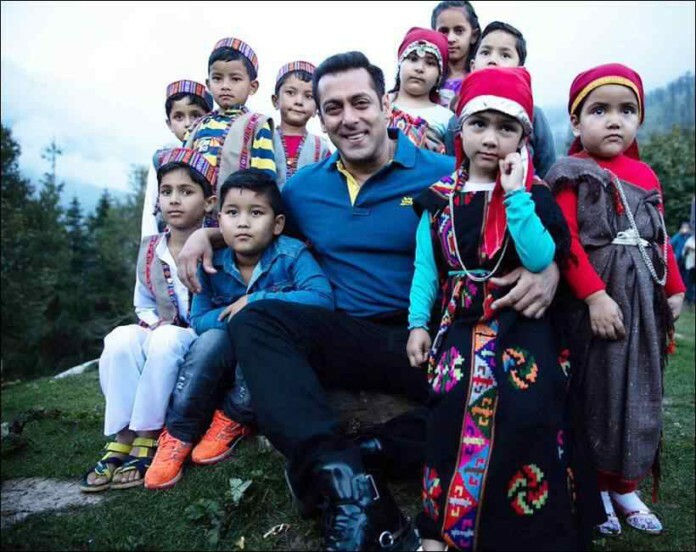 Tinka Tinka Dil Mera: The song is filmed after Salman lost contact with his brother in the film. It was believed that Sohail was killed in the war while Salman has a belief that he will come back. This is an emotional song with a pinch of the plot. In the end, Tubelight didn’t flame up shoes of his brother while flaming his clothes. The song collected a lot of applause because of Rahat Fateh Ali Khan’s beautiful voice as well. Naach Meri Jaan: This one could be recognized as the title song as well. The song helps to resemble the overall story happening in the movie. The bond between two brothers where it was seen Salman relies totally on his brother for living. Energetic contribution of Kamaal Khan, Nakash Aziz, Dev Negi and Tushar Joshi made this song on the top charts for 2 days in India. Main Agar: “Main Agar” is yet romantic and touching song from Tubelight film. The song features first time any Chinese actress giving appearance in Bollywood film. Zhu Zhu and Matin Rey Tangu are the main centre points of Main Agar song in the film. It appears the song dealing with personal bondings of Salman and Zhu or maybe otherwise. All songs are beautifully performed by the group of Indian Actors, Chinese actress, and Pakistani singers. Among the all, Radio is really touching and evergreen song while others concentrate on different relationships of the lead actor with people in the town. Disclaimer: We don’t provide any live stream or watch online video. Please purchase subscription packages if you want to watch and/or support the developers, We have listed all the legal ways to watch the show in this posts hoping to help you.